Why I’ll Never Get Married, Ever. As a little girl playing with Barbies up to the present, I didn’t ever daydream, play pretend or fantasize about getting married. At the time I woke up only to try getting back into the dream and making the mystery groom the person I loved. But that never worked, so I stopped. Clearly my soul wasn’t in it, and my heart and body weren’t either. Despite having no longing, until a couple of years ago I still thought I would one day be married, because that is what happens, eventually, isn’t it? My “one” would ask in a most romantic fashion, I would say “Yes” in a deeply heartfelt way, then be it a big wedding or an intimate gathering, on home soil or European cliff top, tropical island beach or breathtaking backyard we would both commit to us forever and ever. Whatever part of me once thought that that was the done thing has now seen the light. Not one part of my being wants to say, “I do.” Ever. Marriage, husband and wife, joined as one, for him the man of the house and I the hostess of the household, dropping my last name and becoming a Mrs. So-and-so after I am “given away” doesn’t feel right, let alone equal. It seems like an outdated archetypal ritual and structure. Once created for human survival it is no longer functional. Instead I see it being replaced by a new archetype, one that assists with spiritual growth—The Sacred Union (also known as Spiritual/Sacred Partnership). Where the marriage archetype embodies the perception of power as external, the Sacred Union archetype reflects the conscious journey of multi-sensory human beings evolving toward authentic power. (Multi-sensory being beyond our five senses; encompassing Spirit, intuition, Divine Source and beyond, etc). This is the partnership built upon a sacred commitment between the two beloveds to guide and assist each other’s spiritual growth, not their physical security, status, comfort or ego needs. These two beloveds recognize their equality. They distinguish personality (ego, things we think we need,) from soul. They are able to share and discuss the dynamics between them, their lives and interactions with self and others with less emotional attachment and instead with more clarity, compassion and loving kindness. Responding to life’s difficulties together with compassion and love, instead of fear and doubt, creates their “Heaven on Earth,” and brings more harmony and balance into their lives. The beloveds both see that there is a deeper reason why they are together. This is greatly to do with their soul evolution. They know they are in a committed relationship during this physical life to each reflect spiritual consciousness. This prime commitment to ‘spiritual growth’ is an acknowledgment and an understanding that their purpose on Earth is soul evolution, and that everything on Earth does indeed serve that. They bond together knowing it is right for their souls to grow together. (*For some this may be for the rest of this lifetime and beyond, for others this may be months or a smaller number of years). The duration of their union is only as long as they are both evolving together. There is no staying together for the sake of the children, their families, religious beliefs or otherwise. How the two beloveds merge and move their partnership is at their own free will. Coming from a place of spirit and consciousness, knowing all the while that the consequences of their choices are brought into the partnership and that each of these choices results in consequences that will ultimately effect the direction of the Sacred Union. Sacred partners commit to a dynamic of growth. It is a promise to their own growth, survival, and enhancement as individual souls within the union. They know where their attention goes they go, thus they focus on consciously co-creating their experiences with each other, with a life loving vibrant Mother Earth, and with a compassionate Universe. They see each other as spiritual playmates, working through the areas of life, spirit, heart, body, soul and mind, which need healing in both of them. Some marriages may reflect a Sacred Union. 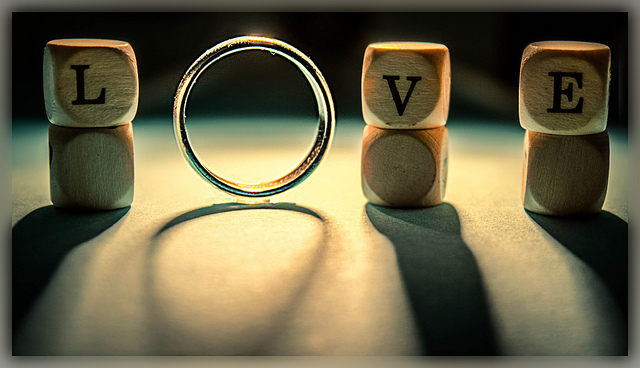 With society not yet fully embracing the new archetypal structure of anything other than legal marriage (and/or civil union), some beloveds choose to fasten their commitment in this traditional way while also bringing the Sacred with them into their union. The marriages that succeed and flourish today are arguably those based on the paradigm of Sacred Union, of soul evolution. The evolution of marriage to Sacred Union will eventually emerge as a norm in our communities, expanding to global heights. Just as two beloveds bond in Sacred Union so too can these values and behaviours be adopted in and between organizations, cities, nations, races, religions and sexes to raise the collective consciousness to the level of spiritual partnership. The global village could potentially be a partnership of Sacred Union living as though the spiritual development of the other is as important as your own. The health of humanity lies within the health of the soul and to heal this, to honour this, to have reverence for this, is to have reverence for the collective through Sacred Union. Love and wanting isn’t enough. Love alone is not enough—we also need trust. Trust in the growth of our partnership, a commitment that satisfies both through sharing concerns with loving kindness and consideration for our partner. Coming from courage, not fear. From belief and faith, wisdom and heart, instead of selfishness, greed and anger. Hiding no secrets, for perfect love and perfect trust does not harbour secrets. In Sacred Union the beloveds learn that wanting something is never enough—it must be desired deeply by the two and brought to fruition with mutual intention and action. In turn the dual consciousness will rise and their union will deepen. There is no legal contract and license. There is no need for a formally recognised signing of any paper imposed on the beloveds by country, state, or creed. This archaic formality is not primarily of the soul, and not of the Sacred Union. There is no need to sign your names on a piece of formalized paper to commit with your soul, spirit, heart, body and mind to honour what you are choosing to honour. It is a commitment you hold yourself to by your own free will and choice. And if it no longer serves the soul evolution of the beloveds it will be no more, for it’s purpose has been met. I see a magical day to honour the Sacred Union with my chosen one. Yes there will be a proposal and an acceptance prior, and yes, oh yes I see a ring symbolising this and it shall be worn on the finger whose vein connects directly to the heart. And on the day there will be an exchange of spoken sacred contract, which we shall share before our loving tribe. I will wear a dress, there will be champagne and raw dessert delights and then a love festival will carry us into the night, with divine foods from the earth and music, candles and lights everywhere and an abundance of laughter, joy and love. And when we go to bed that night we will know on a multi-sensory level that from now until our time comes we shall be honouring the spiritual relationship that we have chosen to enter, for the equality of both our souls evolution and for the evolution of the collective consciousness. 3 Things to Consider Before Beginning or Ending a Marriage. Well if i ever met a Good woman that doesn't Cheat which then i would have it made. I couldn’t agree more. After trying marriage a couple times, I clearly know it is not for me. Work hard and concentrate on personal abilities and u won’t have time to worry about marriagE, your idea sounds ideal, but we both know humans have an ability to be lazy and thus the world is never equal..
Elise Carr is a Divine Feminine Empowerment & Holistic Life Coach, Writer, Speaker, Model, Artist and Divine Feminine Trailblazer. She is the woman behind StellaMuse with an unwavering passion for guiding amazing souls like you to awaken their inner Stella Warrior, manifest the miracles they never knew they wanted and be their most authentic, nourished and Divinely empowered self. Elise is also a certified Reiki master and healer specialising in guided chakra regressions to excavate the lower three chakras and reawaken the yoni, allowing women to shine as a Divine Feminine, Stella Warrior Goddess in harmony and in touch with the power of her Yoni, Heart, Spirit, Soul, and Entire Being, living her passion driven purposeful life. To discover more and connect with Elise: StellaMuse website, Facebook, Instagram, Twitter and YouTube.